Back in January, Bolsover Cruise Club were awarded the title of ‘Top UK Independent Agent for P&O Cruises’ for a 30th consecutive year. As part of our celebrations, we decided it was time to shine a light on one of the great contributors to Bolsover Cruise Club’s successes throughout the years, founding partner, Derek Wilson. Bolsover Cruise Club was founded in the 1960’s by your father, the late A. L. Wilson. Can you tell us a little about how the idea to open a travel agency first arose? My father was a man of great foresight and entrepreneurial spirit. Throughout his life he had a knack for seeing opportunities that others had overlooked and this led to him opening several businesses during his years. The first of those was a sweet shop located next to the cinema in Bolsover. With World War II in progress, sweets and the like were on ration, and crisps were amongst the items that had become practically unobtainable. One day, as we passed a shop in Sheffield on our way home from the Empire Theatre, I pointed out a sign in the window saying ‘Crisps for Sale’. My father, being the man he was, returned to the shop the following day and discovered that the crisps were being made at a fish shop in Hunters Bar, Sheffield. 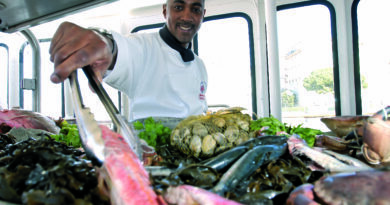 He travelled to the fish shop and told the owner that he would take as many crisps as could be produced, going on to sell his first van full within a couple of hours. Within a short period of time he was supplying not only his own shop, but also a number of large wholesalers, retailers, pubs and breweries around the country. Some years later, and with other successful business ventures in between, my father was looking for a business to join his flourishing estate agency in the town of Bolsover. Realising that travel was a growing market and that nobody else in the area was operating this type of business, he opened Bolsover Travel. How did you come to be involved with the business? I had previously worked for my father’s crisps business, before going into the Armed Forces to complete two years of National Service. Like many, I had no idea what I wanted to do when I left the Forces. I took a sales job with Hoover immediately after leaving and was very successful in the role. 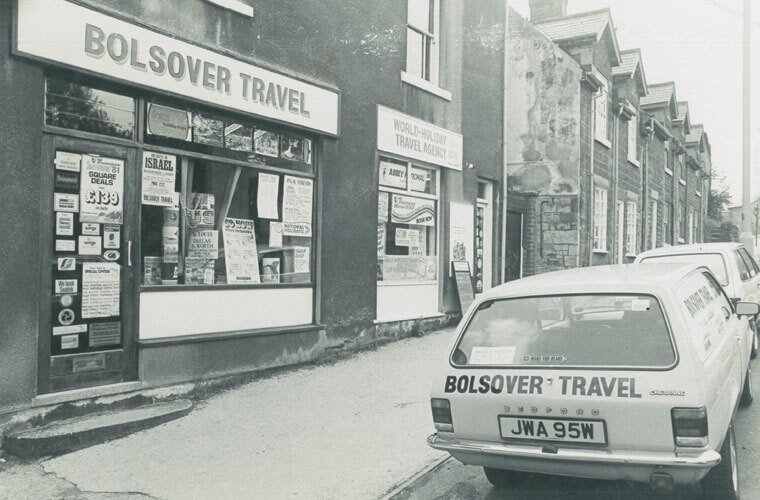 Later, I would hold various management positions with a large electrical retailer in Sheffield and it was here that I learned much of the knowledge used to develop Bolsover Travel, once I finally joined the business in the late 1960’s. 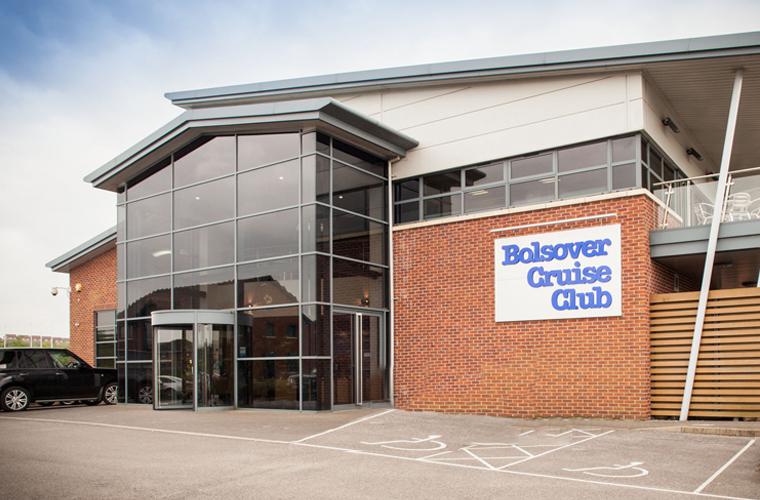 How did your early years at Bolsover Travel contribute to the success of what would become Bolsover Cruise Club? My father’s ability to spot an opportunity is something that is ingrained within the whole family and it was this that helped me grow the business. I had first experimented with advertising in the local press whilst working for the electrical retailers, after noticing that similar businesses were not promoting their services at all. I noticed the same thing again in the travel industry. At that time, people would simply post deals in their shop windows, never in the press. I began advertising holiday offers in the local newspaper and would regularly open the shop to a long queue of customers the day after the paper went on sale. After realising that nobody else was advertising cruise holidays, I decided to place a very small 1 column inch ad in the Mail on Sunday. I remember us debating whether it would be worthwhile, as the advert was quite expensive at £100. Shops never opened on Sundays back then, so I put my home telephone number on the ad rather than waiting in the shop for the phone to ring. The response was incredible and we received constant calls from 7.00am when the newsagents opened, right through to 1.00am the following morning. Word spread from there and it just grew and grew. 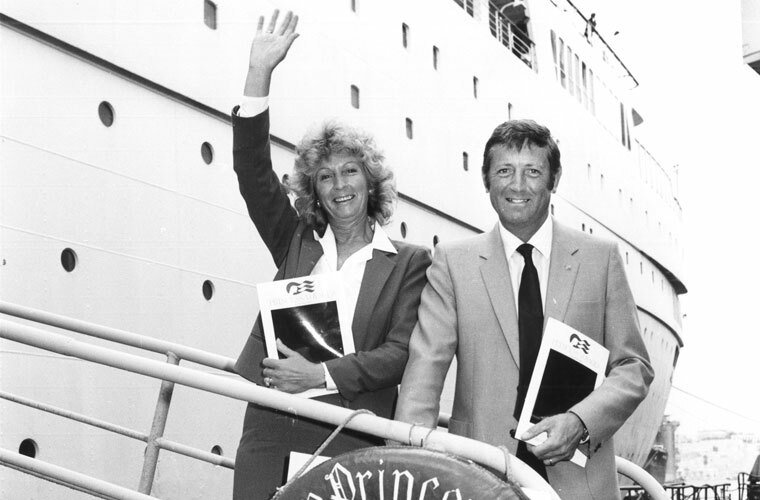 Did you ever expect that the business would grow to become one of the UK’s leading cruise agents? No, we could never have envisaged how the business would develop throughout the years. We came into the industry when there was really just one cruise ship, the SS Canberra, and have been lucky to grow with the cruise lines. Other agents have come and gone along the way, but we have stood the test of time. To what do you attribute the success of Bolsover Cruise Club? It is a huge cliché but here at Bolsover Cruise Club we really do focus on offering the best service to our customers. Everybody promises it these days but very few actually meet that promise. We get back to people immediately. We have incredible product knowledge and we have built the whole business around offering fantastic service. I would say that we are a family of perfectionists, it’s in our blood and it has filtered down into the business; we offer the standard of service that we would expect to receive and I think this reflects in the number of personal recommendations from our clients. 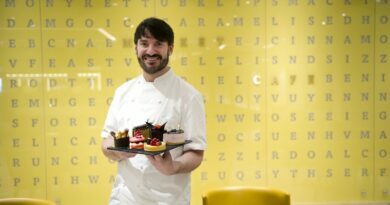 They have been the building blocks of our business. After 45 years in the industry, you must have seen rather a lot of the world. Do you remember your first cruise? I do and it was that very first cruise which had me sold on the idea of cruising in general. It was unlike anything I had ever done and I knew others would enjoy it as much as I had. Like many cruisers around that time, I sailed on board the SS Canberra to the Canary Islands. My wife and I shared a 4-berth cabin with our two daughters and the ship itself was a million miles away from today’s ships. Our cabin had bunk beds and a sink, no toilet. We had to pay for everything on board with cash too, imagine that! 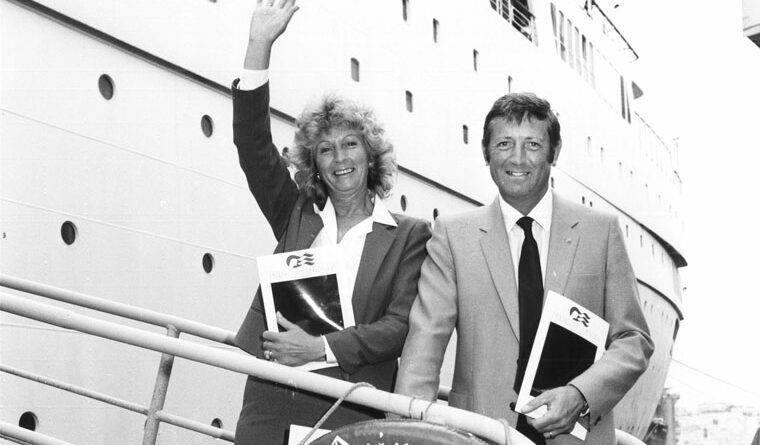 How has your role with Bolsover Cruise Club changed over the years? In the beginning, I took the very thorough sales training I received at Hoover and used the same principles to train my staff. The method works and it is one that we continue to use today, with all of our cruise consultants undergoing three months of really intense training before they take their first call. I think as far as progression goes, I recognised several years ago that it was time to hand over the reins to my children, Michael and Julie. They have great modern business minds and we live in a new world, where technology plays more of a role in business than ever. Seeing those changes coming and acknowledging that the business must change with the times was imperative in taking Bolsover Cruise Club to the next level. I’ve concentrated on sales training since, so I guess you could say I’ve gone full circle! What has been your most memorable cruise holiday? Cruising has given people the chance to see the furthest flung corners of the world and I have been lucky enough to travel to many places on board various ships. One of my most memorable cruises was aboard a ship called the MS Astor. The cruise line was very new at the time and offered sailings to the Indian Ocean. That particular trip was fantastic. You’ve seen a lot of the world. Do you have a favourite destination? One of my sons lives in Cape Town and I usually spend 5 or 6 weeks there each year; it’s a great way to escape the worst of the winter! The weather is perfect and the place itself is incredible. I’ve also taken several short cruises in and out of Cape Town. It is a beautiful destination and it is a shame that political unrest has tainted its reputation. I personally would be the first to recommend it to anyone who has considered visiting. After all these years, what has been your proudest moment at Bolsover Cruise Club? It was very gratifying to receive the Lifetime Achievement Award for Significant Contribution to the Travel Industry quite recently. I knew nothing about it and I remember thinking that whoever Carnival Chairman David Dingle was talking about, when presenting an introduction to the award, sounded very familiar! Of course, I have to mention our most recent award for ‘Top UK Independent Agent for P&O Cruises’. To have achieved this accolade for a 30th consecutive year is just incredible and I am very, very proud. Aside from that, the feedback we have received on the new website is really important to me and it was also great to be recognised as having the best performing agent in Travel Weekly’s mystery shopper feature. The magazine has assessed our cruise agents on three separate occasions and we scooped the top spot each time. It is testament to the hard work everyone puts in every day.